My granddaughter is less than one year old, but I am looking forward to the day when I can teach her to cook and bake. The first book I will use is an exciting new cookbook from my friend Lisa Huff, aka Snappy Gourmet. 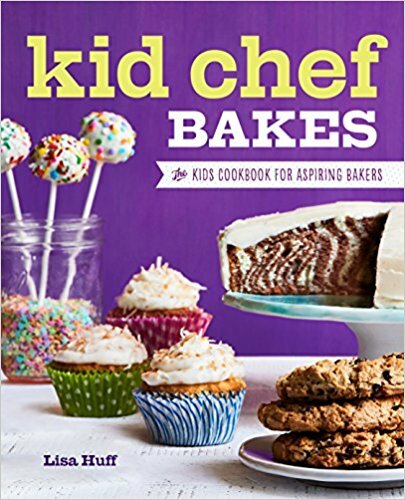 Kid Chef Bakes is filled with over 75 recipes for fun food that kids love such as cake pops, muffins, blondies, pretzels, fruit desserts like strawberry shortcake, and even pot pies. Kids can learn to make dinner and dessert! The book has easy-to-follow tutorials with results kids can be proud to serve their family. 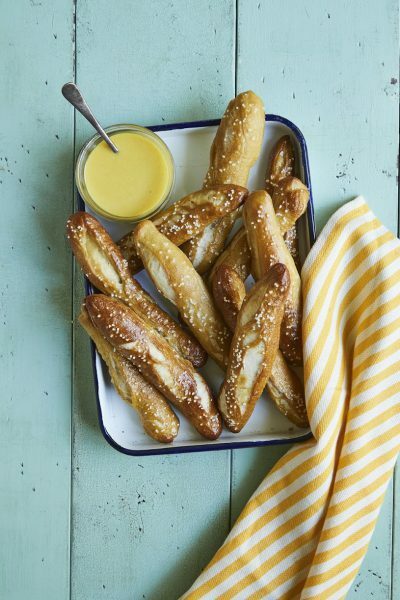 One recipe I definitely will try someday with my granddaughter is the Soft Pretzel Sticks with Honey Mustard Dip. Bread dough is fun for kids to touch and form into a shape. I am a big fan of teaching children to cook and bake early in life, and not think that everything comes out of a box. The more kids learn and work with real food, the more they will enjoy good home cooking and experience feelings of accomplishment and giving to others. You will love all the recipes in the cookbook as much as your young baker. Lisa’s recipes are all her own, not to mention she is an award-winning home chef, freelance recipe developer, food photographer, food stylist, and blogger. I have been following Lisa on all her social media sites for a long time and am always impressed with the quality of everything she does. This mom of two is a culinary wonder, and wants to make your young person be it a child, grandchild, niece, or nephew, into a kid chef. This book will guarantee it with hours of fun and learning through cooking.